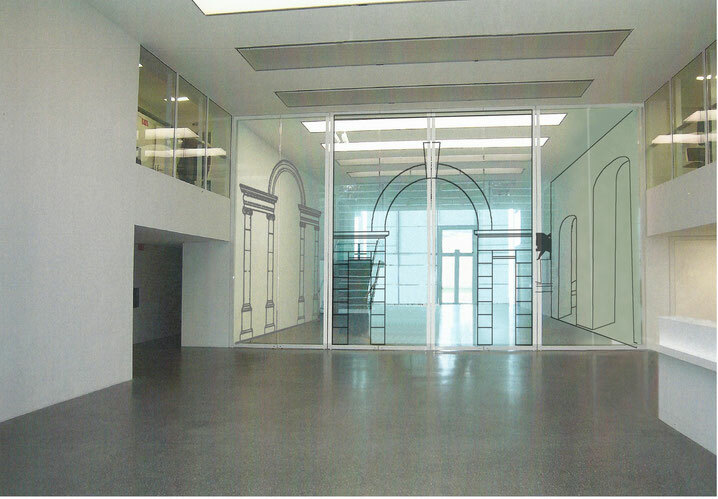 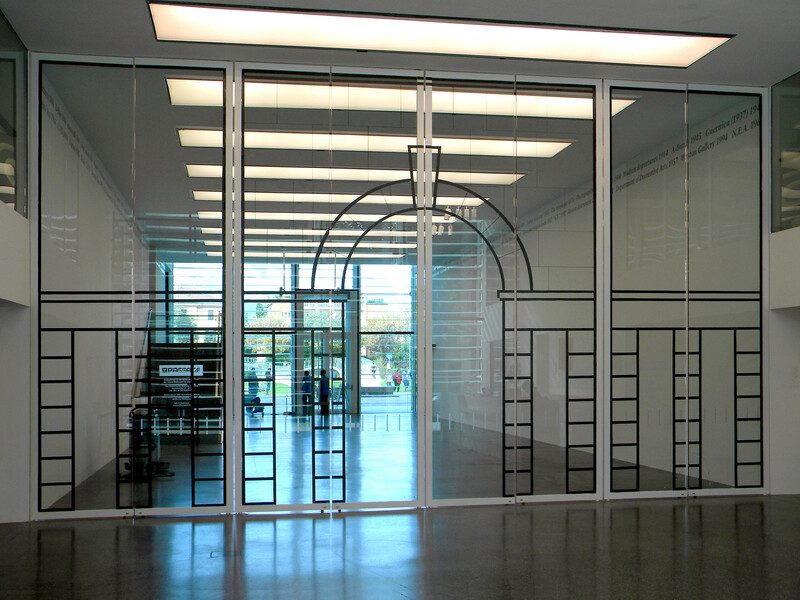 The ‘Large Glass’ entrance to the exhibit is the result of an in-depth email discussion and a series of meetings that took place in the span of more than a year with Pier Bal Blanc, curator of the exhibit itself, to devise a way to create a ‘doorway’, a ‘gateway’ to introduce the theme of the museum dedicated to the city and its history. 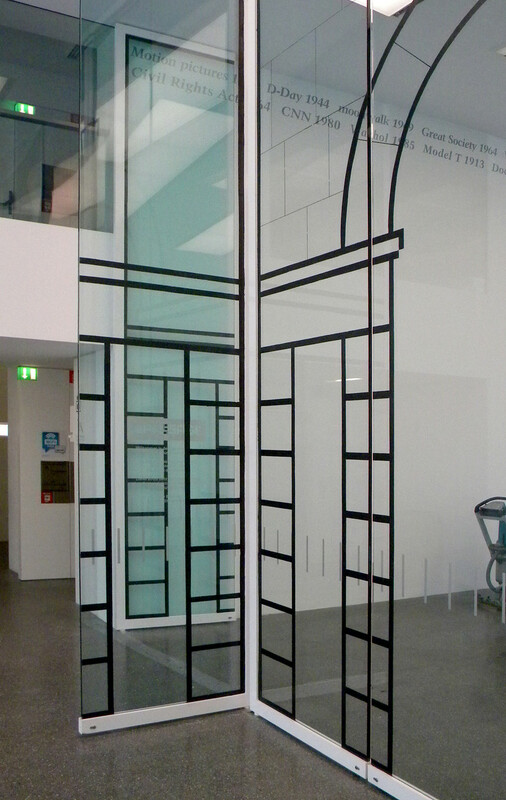 The design of the central part of the glass reproduces a ‘door’ from the Piacentini square in Bolzano, to the left a typical ‘serlian’ arch (of which the Piacentinian door is a modern version) and to the right the reference to a detail of the portico of a ‘Piazza d’Italia’ by Giorgio de Chirico. 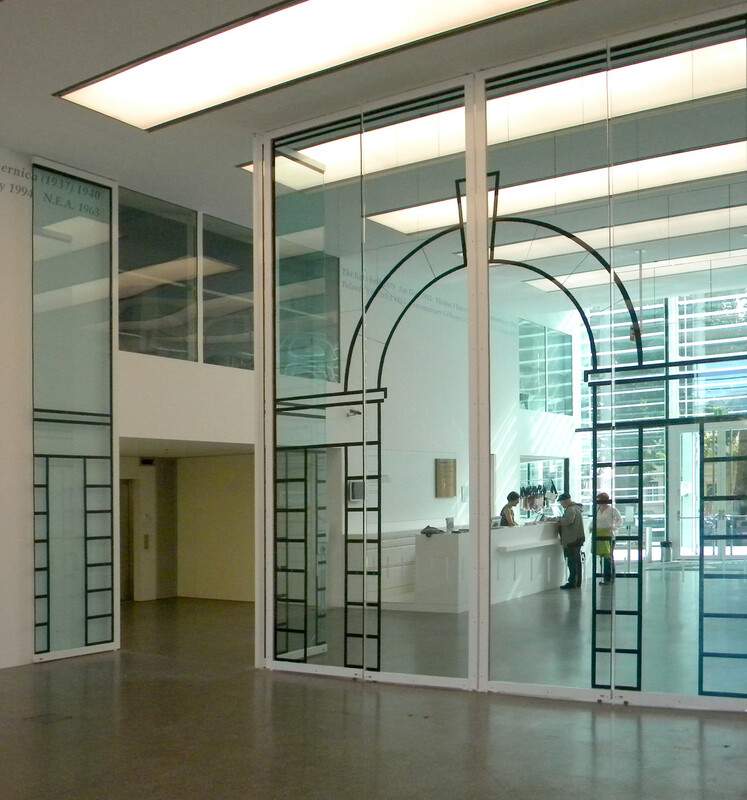 Hence, of all the possible ways in which to connect the museum to the city’s history, an architectural element was chosen, one which, in addition to favoring the idea of ‘entrance’ to the exhibit also permitted a view both of the urban and the natural setting, the sky, the mountains, an environment typical of the area in which the city itself rises.